I am a revert Muslim from Philippines for 1 year now, I would like to know what are the wedding requirements (documentations) as to Islamic rites, I am planning to get married on my next vacation in Philippines with a foreigner Muslim guy. As I was taught of the requirements of a valid marriage (such as wali, 2 witnesses, mahr and the contract) how about documents? and another thing as revert Muslim I don't have a Wali for all my family are Christians. Can anyone please assist me on this I want my relationship with him be blessed by Allah. Congratulations on accepting Islam masha'Allah. May Allah bless you. Regarding wali, your wali now must be an Imam/Islamic scholar / mulla. Regarding the documents required, you do not need to worry over this as it is easy to get married in the Philippines Islamically. Just visit a near by islamic centre or masjid and ask them to assist you. Masha'Allah there are many Islamic centres and masjds in the Philippines now. Last time I visited manila, these are the Islamic centres and masjids I found located in Emrita, calookan, sampaloc, taguig. So wherever your hometown just go and ask there. I would recommend Golden mosque and green mosque in Quiapo. Generally, divorce in the Philippines, is not allowed under the Family Code. But Muslims in the Philippines are allowed to divorce their spouse pursuant to Presidential Decree 1083, otherwise known as the Code of Muslim Personal Laws of the Philippines. I am a Filipina married with a Kuwaiti National, we've been married Islamically here in Qatar for 4 years now, but we want to have a civil marriage in the phillipines and authenticate in in our embassy. What are the requirements needed? and can anyone arrange it before our arrival? Really I will appreciate much if anyone can help me about my problem. It will be best to contact with the embassy because it's about law and embassy will be able to answer all your question. If your marriage has been already solemnized in Qatar, you can still do the Civil marriage here in the Philippines though the would-be marriage would be merely ceremonial. yes alhamdulillah I'm totally blessed because i found Allah swt and teach me more about islam after allah blessed me with this guy but the problem brother im not yet annulled it's too expensive and i don't know if they allowed it to be married islamically if the first marriage is not yet annulled... jazak'allah khair. My husband and I were recently married and have Islamic. Contract. He is currently on parole and is putting in for an interstate transfer. Do they have to recognize our marriage? I of the requirements is that you have to have a spouse to be approved. Sorry to ask this but are you sure of the plan in getitng married in the Philippines with the muslim guy? Yup I got married in Philippines too in ISCAG, Cavite and the marriage was recorded in statistics office. We got divorced in Dubai and till now our marriage in Philippines records not yet cancelled because of this no-divorce rule of the country whichever religion you are in. our islamic faith and practices just contradicts with the rules of the government. You dont want to mess your life, do you? Anyhow mine is just an advice. Keepsafe yourself from future troubles. Why not marry in the country where you are now? Hope you got my point. You can approach any islamic center, they have forms and requirements include passport copies and photos of both of you. The islamic center head who will solemnize your marriage will represent as your wali and few brothers in the center will act as your witnesses. InshaALLAH, you will be guided. Sister have you applied for divorce in Islamic centres in the Philippines? What did they say ? If they didn't do it, then they are wrong and you can try other Islamic centres because divorce is allowed for muslims in the philippines under ''code of muslim personal laws of the philippines'' which non muslims cannot access. But it also depends on how you got married like for example, if a marriage is solemnize under civil law then 'civil law of the philippines' will only apply which has no divorce but if you got married under sharia law or under 'code of muslim personal laws of the philippines' anywhere in the pinas then divorce is allowed. The court will obviously ask for reasons/proofs. One of my acquaintance got divorce in sharia court in quezon city within two weeks. @maryamsantiago, Its best if you perform salat al istikhara for Allah may guide insha'Allah. It was mentioned above that there is a Sharia Court in Quezon City. Is it true? I thought all Sharia Courts are located in Mindanao? Please confirm. I have a muslim friend who have a girl friend, A saudi national and they both planning to get married but since the rules/law in saudi are very strict they decided with thier family to pursue their plan in the Philippines with the girls father consent/guidance as well his family. So my question is it really possible for them to be married there in Philippines? and what might the requirements and documents that they need? Also if they get married in Philippines it is possible that the saudi government would acknowledge thier Marriage here in saudi? Thank you so much i hope you could help them to thier concerned. You can tap the services of AL-HUDA MOSQUE AND MAHAD INC. to help you in your concern. Im from philippines also n i read about our constitution, if ur marry under islamic law u can apply for a divorce. Even if divorce is not allowed in our country, they have different law for muslims. There is a seperate law for muslims as philippine has around 6-8 million muslim population. Especially in mindanao. My partner is a converted Muslim since 1 year already. He's separated but not yet legally. We want to get married, I'm Christian. Any advice if we will going to continue our plan for marriage? How about his previous marriage? Are we protected from any legal suits? What's the update regarding this inquiry? I also want to know. Same situation here. I recently converted but married before. I met someone new i want to marry her. Salam..are you in philppines? If yes kindly give me your contact no. Or email and location where I can find you when I'm in philppines. You can contact this office. They can help you in your concern. I'm from philippines and I'm a reverted muslimah last year. Months ago after I embraced Islam I asked my sister to get my singleness in national statistic office then surprisingly the result was "MARRIED" since 2008 to an indian nationality unknown person. My signature was there, my parents name but there are some errors in that certificate,like my city address in manila and religion. That ceremony was made by an solemnizing officer in ermita. But I did not attend to any ceremony of my marriage ever since. I consult to a lawyer and he advice me to file for nullify the marriage but it will cost me a lot. Now since that I'm muslim do I have to divorce my previous fake marriage but registered when I want to get married in muslimin? Since its been five (5) years now. Please anyone who could help me for advice. Congratulations on becoming Muslim, may Allah (swt) pave your way and always guide you. Amin. Unfortunately, no one here is qualified to give advice as per Divorce Law in Philippines but best course of action would be to speak to other lawyers (possibly Muslim if you can find one) who may better understand your situation and guide you accordingly. Islamically speaking, you are already divorced from your husband because waiting period is 3 months after your reversion for your husband to accept Islam, however your situation is quite complicated since your marriage was a fake one. Also, look for other similar posts on here, there have been few such cases (though not exactly same) to find some help iA. May Allah (swt) help you to find the solution to your problem. Amin. Aside from the requirements that you have mentioned, you and your fiancé are required to present your respective passport and valid identification card. Since you are a convert and no immediate relatives can represent you as your Wali because they are not Muslim, then an Imam can represent you as your Wali. You can file a petition for divorce before the Shariah Circuit Court and pray before the said court to severe your marriage and furnish the Local Civil Registrar where your marriage was registered of the decision for them to annotate your record and eventually forward the same at the NSO for final annotation. Good evening sir.Me and my indonesian boyfriend, we’re planning to get married next year but Iam still a christian and i will revert this year to muslimah in Indonesia. And get married there in muslim faith. And i would like to ask what are the steps or process to get married in civil wedding muslim here in philippines? And what we need to prepare? [Editor's note: Please submit your question as a new post for publication rather than as a comment on an existing post. That way it can be published and answered in turn, inshaAllah. HI! I NEED HELP? MY PARTNER AND I WANTS TO GET MARRIED IN THE PHILIPPINES BUT I'AM A CHRISTIAN AND HE IS FOREIGNER MUSLIM .WE PLAN NOT TO GO BACK HOME STAY IN U.A.E AND WE DONT HAVE ANY IDEA HOW WE CAN SETTLE MARRIAGE EVEN BOTH OF US STAYED IN U.A.E I WOULD LIKE TO KNOW IF WE HAVE A CHANCE TO GET MARRIED IN THE PHILIPPINES EVEN BOTH OF US HERE IN U.A.E? HERE IN UAE ITS TOO MUCH EXPENSIVE AND ITS NOT EASY TO GET MARRIED IF BOTH HAVE DIFFERENT RELIGION.ACTUALLY ONE OF MY FRIEND SAYS THAT WE CAN JUST ASK 1 OF YOUR SISTER TO HELP YOU OUT FOR THE PAPERS GO TO THE NEASREST MOSQUE IN THE PHILIPPINES ASK THE REQUIREMENTS THEN IT WILL PROCESS.CAN YOU GIVE ME ADVICE MUCH APPRECIATED. THANK YOU! Hi. Did you get any reply for this request. My advice, is to search for a good Islamic mosque that do facilitate a Muslim marriage. Be careful here in searching for a mosque or any advert that they do assist Muslim marriage. For some will assist you in the beginning but once you paid the amount they are hardly accomodating in queries. I meet an Imam who asist my marriage but has a double face. Hi.. I would like to ask is it possible to get married even if we are both here in UAE? And we want that we married in Philippines THTOUGH ONLINE NIKAH? WHAT would be the requirements and for whom we can ask any help us to process and guide as. Thank you. I reverted to Islam last December 28, 2013 in Abu Dhabi, but due to i am working at the house i didn't have a chance to authenticated my conversion to Islam there.. when i go back to Phils I worked for my conversion certificate and have it last Sept 08, 2014.. Iam separated from my husband since 2010.. we are married in Catholic Ceremony and have records on Nso.. My question is can i re-marry again in Islamic ceremony or i need to be annulled or divorce first? And if I get a Divorce in Shari'a Court, is it recognized by the Phils law.. Please help me, because i was so depressed when one brother in the mosque i go ask for me 30, 000.00 for my divorce.. I am not working now and not have enough money to pay for that processing or court fee.. I will highly appreciated and acknowledge if you can help me and give me proper advice on what i will do. Mariam, Islamically you are divorced. However, you should obtain a civil divorce as well before considering remarriage. Whether your Shariah Court divorce would be recognized by Philippine law, I don't know. You should consult a lawyer on that. Lastly, do not trust any brother from the mosque who says that it will cost you such-and-such to get divorced. He may be trying to scam you. Verify the filing costs for yourself, and use a lawyer if necessary. Islamic conversion and Islamic marriage doesn't mean that your previous marriage is automatically divorced or annulled under the Philippine law. This is the most common misbelief of most of the Filipinos who converts to Islam. Every petition has a proper process in the Philippine court which should be followed. Being a Filipino citizen, even though you are Muslim or a christian or any other religion we are still under the law of the Philippines wherever country we are currently staying. There is a specific law for Muslim Filipino in the Philippines whether inborn or converted to Islam faith. Under PD 1083 or the Muslim Law of Conduct of Muslim Filipino, divorce is only allowed if the marriage ceremony was conducted under the Muslim rites, either both Muslim parties or a male Muslim to a non-Muslim lady. If the previous marriage is not conducted under Muslim rites, then divorced is not applicable to this law. Only annulment proceeding in the Philippine Court will be the one to determined if the marriage is valid or nullified. Filing a divorced petition to marry a Muslim man in sharia court in the middle east or any Muslim country which doesn't conformed to the PD 1083 will be considered invalid according to the Philippine law which doesn't permit a second marriage to exist under the law if there is still a previous marriage is still valid. Since your previous marriage was registered in the Local Civil Registrar and eventually in the NSO, you are required to severe the said marriage by filing a Divorce in the Shariah Circuit Court before you contract another marriage. Your conversion to Islam is a ground for the SCC to acquire jurisdiction over you upon your filing a petition for divorce. And the decision of the SCC is recognized by Law because such courts were created by virtue of Presidential Decree 1083, otherwise known as the Code of Muslim Personal Laws of the Philippines which is a part of the law of the land. Reading your comments and advise gave me some light of hope. I was married with a foreign Muslim in Philippines in a civil/secret marriage. we paid and got the marriage certificate without going through the ceremony. Now the muslim man I married abandoned me for 6 years now and never supported me since the marriage even now that I am jobless. I now want to get a divorce under Sharia Law. Please advise me where I should go and any contact details to get divorced. Is divorce possible even if the marriage was a secret marriage officiated by some Rev. I never met somewhere in San Juan where I never lived and registered in NSO? The best thing to do is consult a Filipino attorney and get their advice. The best move that you can do is, have your marriage annulled first before you contract another marriage in order to avoid problem. You may be de facto separated for many years but in the eyes of the law, you are still married. And a married woman is not allowed to contract a subsequent marriage. It is punishable under the law. However, if you are a Muslim convert, you can file a divorce in the Shari'ah Circuit Court with the assistance of a lawyer preferably, a Shari'ah Lawyer. The process of divorce in the Shari'ah courts is easier than that of annulment in the Regular Courts. It was mentioned in one of the posts that they were able to get a divorce from a sharia court in quezon city. Is it true? i thought all sharia courts are located in mindanao only. Please confirm and please let me know the location of islamic centers in quezon city or nearby places that assists in conversion and divorce. Thank you. It was mentioned in one of the posts that they were able to get a divorce from a sharia court in quezon city. Is it true? i thought all sharia courts are located in mindanao only. Please confirm and please let me know the location of islamic centers in quezon city or nearby places that assists in conversion and divorce. Thank you very much and hoping for your response. Definitely, that's not true because there is no Shari'ah Court in Quizon City, only regular courts. Shari'ah courts are established in some parts of Mindanao particularly in ARMM by virtue of Presidential Decree 1083, otherwise known as the Code of Muslim Personal Laws in the Philippines. They also have another branch in Quiapo, Manila located in Globo de Oro Street. It is located beside the Golden Mosque. You can ride the LRT Station and alight at Carriedo Station. I embraced Islam back in 2007 when i worked in Dubai, but unfortunately the documents that i have signed was left on the Islamic Center and up to now i do not have any proof with me but my Faith In Allah (SWT) and the Prophet Muhammad ASW i just would like to know the steps i need to take to have a legal document or proof that i am a Muslim revert. Thank you very much. Hoping for your quick response. For you to have a legal proof of your conversion to Islam, you can register your conversion at the Shariah Circuit or District Court because they are the Ex-Officio Circuit or District Registrar respectively, as far as conversion is concern. I am a reverted muslimah in Qatar. Now, im in vacation here n the Phils, i want to register myself as a reverted .muslimah- where do i go? And what are the needed requirements? 2009, i went to Abu Dhabi to work and after 3 years i converted to Islam. I filed divorce for the husband in the Philippines in Abu Dhabi Judicial Department and Alhamdulillah I am already divorced. I went to the Philippine Embassy in this country to ask for further steps and I was informed that the Philippines will not recognize the divorce, I should still file an annulment case in my country to fully dissolve our marriage. My question is, do I have to file another divorce case in the Philippines under Sharia court against the husband for the Court in the Philippines to recognize it? and if so, do I have to personally go to the Philippines Sharia Court to do this, or can I ask my father to give them all the documents needed? Please help me, I just want a new life for me and my daughter. I am seriously going to see if I can get a Philippines divorce attorney on staff, because we get so many of these questions and we do not have the expertise to answer them. I have heard that there is no divorce in Philippines law. There is only annulment, which is difficult to obtain. A Filipino who has obtained a divorce abroad must still obtain an annulment inside the Philippines for the marriage to be legally terminated. I have also read that Shariah courts in Mindanao (Southern Philippines) recognize divorce among Muslims, according to Act # 394 which was passed in 1971. However, under what circumstances that law applies, I do not know. Philippines, as a catholic dominated country does not generally recognize divorce. However, Muslim is allowed to divorce pursuant to Presidential Decree 1083, otherwise known as the Code of Muslim Personal Laws of the Philippines which is a part of the law of the land. By virtue of this law, Shariah District Courts and Shariah Circuit Courts were established in the Muslim populated parts of Southern Mindanao in order to hear and decide cases on Divorce, restitution of marital rights, inheritance among others. Ask ko lang, paano ka nagfile ng divorce dito sa UAE? Please get back to me. I am new revert Muslim before Ramadan of 2014., i have a beautiful experiences before reverting Islam but there's something want to ask regarding divorcing of marriage i file the case in Dubai already actually i dont have any intention to file but in the Philippines every transaction i need to do they need also signature of my ex husband but we are separated for almost 3 years., my teacher here in Dubai advise me a lot of things but i want opinions from other knowledgeable as well regarding islamic law to civil law., we are married last 2010 and ends for almost 2 years only and for that case i didn't ask anything from him anymore i want just to have a peaceful life and Alhamdullilah i found Islam here in Islamic country i don't have any plan to get married again just to separate only in legal way and nice way here in Dubai they can divorced you without expences espacially if you really don't have money ., I was thinking to divorce in the Philippines as well but i don't much money to pay if anything i need to pay but if i have here but not much expense like annulment case we spoke already and we are agreed with that but I am the one behind with this case because every now and then his leaving in the country and no month and day he will be coming back is it possible to file case in the Philippines while his on abroad?and wait for him to sign? is it the governement accept it and all transaction under my name can i change it all to single name again?like my passport? how long it will process? because his planning his planning get married again and i want him to be happy how will I arrange and setteled all of this things whil im here as well in Dubai? Here's an excerpt: "...since your first marriage was celebrated under the Civil or Family Code, then you are governed by that law – not the Muslim Code." Salam... I would like to inquire if theres any possibility that i may have a copy of my marriage contract from the Golden Mosque in Quiapo where i had fixed marriage to an arab way back 1993. I have lost my copy and i am humbly seeking to have another copy for it was a fixed marriage. Is there any chance for me to have a copy from the golden mosque? But my problem here is we did not submit it to NSO but it has red ribbon in DFA before we pushed to Bahrain. However, i am no longer living in bahrain. So how can i obtain a copy of my mc? hi i would like to ask aboout the procedure in philippine how can we get married with my formally fiance here in dubai we are planning to go to philippines to get married we are in hurry to get merried but the problem i know its not easy to process everything the documents for our married and it's very hard to do it here i am thingking maybe when we will do it in philippines it's easy than here so i want to know what is the requirements we need to make and bring when will go in philippine? any body can help me pls?.. we have plan to go to mindanao for marriage but i read here in this conversation we have already masjid in manila and i get already email and contact no. from them..thank you so much im hoping that someone will reply me here or in my email thank u so mucn..
Hello..sister, any update on this?. You can coordinate with Al-Huda Mosque and Mahad Inc. For your concern. We tried them just recently and they are well-organized. I'm a pilipina married before in Christian pilipino but know we separate but no any document for it we don't have communication now to each other but we just do our obligations to our kids.....I meet my fiance here in oman we plan to get married hopefully inshaallah on January on our vacation if there any suggestion on how I get divorced in my first marriage I'm happily say I embrace Islam here 2013 and I believe Allah open my eyes to follow the right path for me.......hope somebody can assist and help us thank you. How many months or years the Shariah will allow a divorce muslim woman get another husband? the Wali is required same like her first marriage? If her divorce is complete, she can marry another man without any further wait. As far as the wali, the scholars differ. Some say that a divorced woman needs a wali, while others say she can represent herself. Hi i converted to islam last january 2013 in indonesia and got a muslim wedding after my conversion i want to know if my marriage in indonesia is valid here in philippines since it waz not registered here in philippines.if we will get a civil wedding here in philippines is it possible or muslim wedding again only. Just wanna ask I'm planning to get married with an malaysian guy in the Philippines just wanna know what documents he should bring so we can get married there. salam,,i am muslim filipina,widowed since 3 years ago.and want to get marry with turkish islam man,,we are on legal age,,what are the requirements needed since he is a turkish nationality.we want to marry legally..is there any place to marry legally in manila aside from al huda mosque? is thjere a sharia court in philippines? Yes there is a Shariah Court in the Philippines but you can find them at the Muslim dominated areas in Shouthern Philippines particularly in Cotabato, Zamboanga, Lanao del Sur among others. I want to know what r the requirements to get married in Islamic center in Philippines. We are planning to get married here in manila with my muslim fiance who holds a US passport. He is not a filipino. What do we need to do in order to have our nikah here in manila? Please get in touch with Al-Huda Mosque and Ma-Had Inc. to assist you in your concern. mamesa, a Muslim man can marry a Christian woman and there are no special religious requirements outside of the ordinary requirements for nikah (marriage) in Islam. If you are asking about Philippine law, however, then I cannot advise you there. Asallam wallaikum, im from philippine and converted in islam since 2009 and now im ready to marry in islamic marriage but my husband he is from pakistan and we are planning to do the nikkah in philippine. My query is i want to know what is the required document if we will do the nikkah in Davao city, philippines. im waiting your impormative response. Thanks. Sister, were having same situation did your marriage successful, can u tell me the details. im muslim and planned to get married to my fiancee a catholic.but we planned to married in civil. Can i know wat is the procedure and requirement that they need.I from singapore and my fiancee was a philippine.. Please read the answers already provided. We are not legal experts, so it may be best to confirm this with the people who will be doing the civil marriage. Remember that you will need to have a nikah. Please read the answers already given. We are not legal experts, so if you need an definitive legal answer, you will need to consult a lawyer. I recently got married with my long term indian fiancé and we already got our marriage contract. Our wedding was solemnized at the dawa center. Though we got our contract printed in NSO paper but not autenticated by the DFA, how can I cross check the validity of our paper.? Can I take this directly to DFA to get it authenticated even without the receipt from NSO? I forgot to mention that they gave us another paper from sharia (according to them) it is in arabic so i cant tell what it is. I don't know the law in the Philippines, but why don't you try taking your marriage contract to the Department of Foreign Affairs and see what they say. Please read the advice already given. Hello Everyone. I am a muslim convert. I got married on a civil rite last 2009 and separated from my ex-husband the following year.though my ex is a christian, I filed a divorce in sharia court late last year and I got the divorced March this year. The court passed the documents to the NSO for annotation. The problem is, NSO will not annotate my documents because my exhusband is NOT a muslim. What should i do? Pls help. We're not qualified to answer these types of questions. You need to talk to a family lawyer. anna pls give me information how u filed the divorce and how much.is it possible to do it here in dubai?we have the same sitution. Being a Filipino citizen you should follow the civil code of the Philippines which stating that marriage conducted under a non-Muslim ceremony will not be granted divorce under the law. Annulment procedures in the Philippine court will be the one who will determined if the marriage is void. Prior to the year 2015, NSO was allowing the annotation of a Divorce issued by the Shariah Courts even if the marriage of the subject parties was done in a civil wedding. However, the Chief of National Statistics Authority, for some valid reasons, issued a Memorandum Circular sometime in the last quarter of 2014, instructing all Local Civil Registrar among others, not to annotate any divorce issued by the Shariah Court if the subject parties was solemnized in accordance with the civil law or Church law. The only exception of this Memorandum Circular is the conversion of both parties to Islam during the subsistence of their marriage because such case is allowed for divorce under PD 1083. But I hope that the Shariah Courts judges and the National Statistics Authority will resolve this issue in the soonest time possible. thankyou very much,,looking forward to hear from you,,please guide me,,because he will just have 10 days leave from work,meaning he will just come here to DAVAO CITY philippines to marry me in legal way, so that, we can live together hajal..
Hi. Do Islamic courts in the Philippines honor fixed term marriages? My fiance is Shia Muslim. Hello everyone! I am Christian and engaged with a Muslim man. We are planning to get married in the Philippines by Muslim way. Is it possible for us to get marriage certificate even if I am not Muslim? Also, does anyone know any Mosque or Court to conduct wedding? Your help is highly appreciated. Thanks! My name is Hussain, i'm from India. At present working in Kuwait. I would like to marry a filipino lady. She is Muslim. She also working now in Kuwait. We want to get married in Philippine. This my second marriage. Please advise the procedure to get married in philippines and we need marriage contract as i want to put her visauunder my name. Muslim marriage in the Philippines is simple in terms of requirements as compared to civil marriage. to assist you in your concern. Hoping this information can help you. I would like to know, once we get married in Al Huda Masjid. Can we get marriage certificate. Because its very important to have marrage certicate /contract to leave together in Kuwait. We need to that marrage certificate to be Red Riboned. I'm Aisha working here in Riyadh KSA I embraced Islam since 2008 but only here in Riyadh KSA I got certificate to become a certified Muslim just last April 2015 I got my certificate. I am planning to get married here but unfortunately my bos doesn't allow me. So we are planning to get married in Philippines with my Sudanese fiancé he had a first wife so if we get married I'm his 2nd wife. I just want to ask what are the requirements to marry a muslim foreigner in Philippines? I am Saleh working here in Jeddah and im a 15 year Muslim convert. I was married here with a Muslim woman, but for 6 years now we have not been together and have no communication. I just got news from her friend that she has already gone back to the Philippines. In the time of the marriage there wasnt any marriage contract that i signed. Yet when i asked for my Cenomar i was registered married to that woman. details of the cenomar says that we had been married in cotabato city and my signature was obviously not mine. What proper action can i do in my situation. Can i file for Divorce here since we got married here in Jeddah or should i file for divorce there in the Philipines? Can i file a falsification of document against her since the details in the marriage contract are false? You need to discuss this with a lawyer. Yes. We can help you with the processing of documents. You may reach us through this nos. Brother Wael and brother AJ are both correct. But however, there are instances where non-Muslim couple whose marriage was done in accordance with civil rite can seek for divorce before the Shariah Circuit Court. One example is, conversion of both spouses while their marriage subsists. So in other words, after the couple had been converted to Islam, their marriage was ratified as if they were solemnized in accordance with PD 1083 or Muslim law. So since they are now Muslims and their marriage is now considered solemnized under Muslim law, they can now avail of divorce. Can I marry him even if I will not convert to Muslim? And what do we need to do to get married? I'm from philippines and I'm a reverted muslimah here in Doha Qatar since 2004 but my certificate issues on 2012. I would like to ask aboout the procedure in philippine how can we get married with my formally fiance here in doha we are planning to go to Philippines this may to get married we are in hurry to get married but the problem i know its not easy to process everything the documents for our married and it's very hard to do it here i am thingking maybe when we will do it in philippines it's easy than here so i want to know what is the requirements we need to make and bring when will go in philippine? anybody can help me pls?.. Thank you so much I’m hoping that someone will reply me.
. I contacted him through email. Our Marriage Contract is also authenticated with red ribbon from DFA. Ask your girlfriend and she know what I'm talking about. It took 5 weeks before we received the contract. I highly recommend this Mosque as they are very assistive and prompt. Golden Mosque in Quiapo is quite big and you are not sure to whom you will transact and uncertain if the person you deal with is real or not. I wish you and you future wife a happy life. Hi edlyn, did you get married even you're not converted to Muslim? im from singapore, and my fiancee is a phililpines national. We plan to get married and settle down here, is there any place that my fiancee can go for class to convert in philipines? She is in talisay. Your help would be much appreciated. I am recommending AL HUDA MOSQUE AND MAHAD INC in Manila. They are well organized in terms of conducting Muslim Marriage and its registration. good afternoon. i am a single woman. and i have a boyfriend who is married. he was separated years ago. and he is now converted to muslim. can he be able to marry me in a protestant church or in a civil marriage? or to islam? thank you and hoping for answers. I'm confused by your question. Are you Muslim? If you are Muslim then why would you want to marry him in a Protestant church? im a protestant. my boyfriend was a christian before and he's converted now to muslim. so, can he marry me even though he is still married when he was still a christian? (he is now a muslim) can we marry in a masjid? can they be able to give us a marriage contract? thank you. We have answered numerous questions on these types of topics. Please search our archives. I would like to inquire about my friend's problem. She is a converted Muslim, and got married last 2014 under Shariah Court with a converted muslim filipino man but he was previousy married and had his marriage certificate registered in NSO under civil registrar office. These are the questions she wants to ask regarding the her situation. 1. Can my female friend apply for a change in surname using their new marriage certificate? 2. Can she have DFA (red ribbon) authentication of their PSA-issued marriage certificate and use in abroad without having trouble? She is worried that his husband's previous marriage will cause problems in securing these documents. These are questions that should be addressed to a lawyer in the Philippines. Sir I m Pakistani married man ..
And i want marry with a Filipina she will convert to Muslim ..
Can I marry there in Philippines? And then she's allowed to go with me Pakistan ? Convert already what is the due process because he want to come and do married her... He is singaporean..
You can contact and email us on the above numbers and email regarding your concern. I'm Catholic, My boyfriend is Bangladeshi Muslim we are planning to get married here in Philippines. What are the requirements to get married and to be legalize our documents? I'm the one who taking care because he is in UAE. May I know how long is the processing because he will just stay for 1 month. Thank you. i am married to a muslim and separated for years now. How to file divorce? I mean what steps / dox do i need to do and present? I live in Davao City. Is it really costly? same with the usual annulment cases ? I have ask around and the fees are way to expensive. Brother and sister i have a question is it allowed in islamic to get married with a muslim foreigner man and a revert muslim woman but the girl is already pregnant... is the Islamic center or imam will accept their situation since the guy is willing to take the responsibility.??? hi,please i need an advice i know my problem is very common here.but i want to have a clear answer for my situation.i cant find comments and post same like .about marriage oviously.same like more sisters here im one of them married in christian man before. convert but i did not use any single documents bearing my husbands name i mean all my docs.are single i.d's also.and now i want to marry a muslim guy.and he my husband is not living with me.for less than a year.i would like to ask if i can marry now.please help me.i need advice. I embraced islam last April and my fiancee is an Islam too but he is a Filipino. We are planning to have our wedding next year when he will go to vacation here in phil. Any suggestions brothers and sisters where is the good mosque that we have our islamic wedding? Shokran. I am married to a Philipine lady in 2012. I am a Malaysian muslim. She is a converted muslim. Now we are in the process of registering our marriage in Malaysia at syaria court. We have all the certificates and marriage documents from Philippines. But since my wife is a converted / muallaf and the only muslim in her family, the judge preside our case has insisted for the wali hakim certificate or letter authorizing the imam which solemnized the marriage (akad ijab kabul). Is there a letter issued by the Philippines Islamic Council for that? We already asked the Imam certificate or authority letter but was told there's no such thing in Philippines. Our next hearing is in a couple of weeks. I hope some one can shed some light to this problem as I don't know what cert or letter to ask from the imam. Hi am filipina im not yet converted islam i am seperated to my husband 3 yrs ago i have foreigner he is islam he will come here in philippines to marry to get marriage in registry office in muslim.isnt allow to marry him..please help and what is the requirement if possible ..thank you..
Hi. I just wanted to ask. I am a catholic woman and my boyfriend is a Muslim eauthopian.. We are planning to get married. But as we ask for the civil judge marriage ceremony. Marriage license is needed and a contract to marriage. But my boyfriend has a lil time to fix all of the papers needed. That's why I am asking if its okey if we get married even I am.not a Muslim by an imam? And if yes... What will be the requirement needed and is it valid?
. This center is well-organized and the people are very accomodating. You are secured with their services. Hi I'm a non-Muslim who wants to get married to my Muslim fiance. I do not want to be converted to Islam and my girlfriend's family is fine with it. They are asking for a huge amount as dowry plus a small yet extravagant ceremony. Besides the other requirements mentioned in this thread, what are the other considerations that I need to be aware of to oush this through? My Boss ask me to inquire refference Muslim Marraige in Philippines, they are both muslim with Eurpean and Arabic Nationalities, they want to visit philipinnes and celebrate thier marraige, what are the requirements needed, your immadaite response is higly appreciated! All my family members are christians. But before that I wrongfully got married to a drug addict and became hostage for 3 months sometime in 1974. My mother arranged our marriage since it was a shame to the neighborhood. I left him after 3 months because i was physically abused. I dont hear anymore about him. Now I found a true muslim man, and accepted me of who i am. We planned to marry according to islamic rights. But when I get a CENOMAR because they asked me to prepare it, im still married with the christian guy. What will I do? will that hamper our plan to get marry? Its already 3 decades, was that marriage is still binding? Please advice. 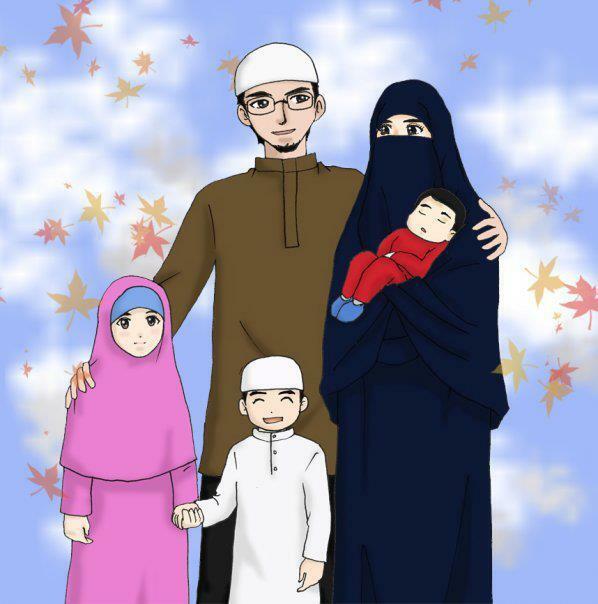 I want to complete half of my Deen and so with my muslim fiancee. Fatima, I don't have an answer to your question, but I want to say congratulations on escaping that abusive situation, and finding a good Muslim man who accepts you. May Allah make it easy for you. hi miss jane. congratulations in your wedding. best wishes. would you mind if i will ask your contact number? just having some queries in my mind, and I am thinking that you can help me through, since i noticed in the thread of comments here, that somewhow/what, i have the same case with you. i hope you don't mind. here's mine *********. hoping for your positive response. Thanks and God bless. Jesseca, we do not allow posting private contact info, sorry. my family members are all Catholic. I was converted in Islam last February. I want to divorce my husband for we are separated for 3 years.. Is there a possible way?please i"m really desperate to divorce my husband. Samar, we have answered numerous questions on this subject. Please search our archives. I want ask what are the requirement for islamic marraige I am convert to islam and my future husband from pakistan. Janice, the requirements are that you both consent to the marriage, the bride's father or representative (wali) should consent as well, you have a wedding ceremony with at least two adult witnesses (nikah), the groom pays the bride an agreed upon price as mahr or dowry, and you make the marriage know to the people through a wedding party (walimah). where can we go? Who to contact? And What are the requirements?.. We both are single and working in kuwait.. I'm proud to reborn in islam !! Asaalamualaikum Waramatulah Allah Wabarakatu. I am reverted in Islam almost 3years from now Alhamdulillah and all my Family are Catholic only my self is Muslim now,I've got married before when I was a Catholic but after a month I separated with him is already 9years I am separated and no contact ,no communication at all. MAY,2015 I decide to convert in Islam Alhamdulillah ,now I meet my fiancee and we are planning to get married Inshaallah he is from UK and he want to come in Philippines to meet me and we do our Nika but I don't have any idea what he need to bring a document from his country and where we can do our Nika . Please need your help...I really appreciate if you can help me Inshaallah. Anyone reply from you about this sis Zahrah Maria Abdullah Sanchez?? Having same dilemma. I want to married in with a phillippina girl in phillippens I am muslum she is not but I want to married in the Islamic court or center in the phillippens how I can married please I need help I will be there in 24 October I have only one week ? I am a christian, and my fiancee is also a christian. Me, i am separated fr my legal wife 4 almost 10 yrs now. My girl friend and I wanted to exchange vows under an imam who shall supervise the ceremony. Could it be done? If both of you are Cbristian, your marriage cannot be solemnized by an Imaam because the law requires that at least the groom should be a Muslim. So if you really want to have your marriage done in an Islamic rite, then there is a need for the groom to convert to Islam. We are planning to get married with my Syrian boyfriend.He is currently living in Qatar. I just come here also from Qatar to fix our marriage before he come here..
Can you help me with the procedures and requirements.. I suggest that you get married in an Islamic way since marriage is not only a matter of legalizing your union in the sight of the law but above all, it has to be legalize in the eyes of Allah S.W.T. I am Muslim from Middle east country and my partner is Christian from Philippines , we would like to marry in Islamic way in Philippines , Can you advise me what is requirement for us to get married? This office AL-HUDA MOSQUE in the Philippines can help in your concern as we tried it already and the service is very good. The fee is so reasonable compared to the others which is excessive. And the registration process is fast. I recommend this center to those who have similar concern. just go to the quiapo masjid ....they will guide you..
First of all many thanks for your information here , however really feel overwhelmed after reading almost all comments here. Me and my girlfriend both living at malaysia as foreigner currently and decided to get married if possible. so same as most cases through this category, my gf had been married many years ago and lately Philippines embassy here advised that annulment still requires even if we married upon shariah law here in masjid. Even though embassy said it would be granted if my girlfriend had converted to Islam before her first marriage in Philippines with her christian ex-husband . So, is there any other way to divorce him and we get married upon Islam rules which will be accepted by Philippines civil law as well? how about if she prove that converted to Islam bfr her first marriage by a make-up certificate ? would like to ask if our marriage is valid. our wedding date is last June 21, 2017 and it is late register. I dont know if it is valid because it is late file. it was file at zamboanga, for now i need to know the status of my marriage because my situation is, my husband and I have no communication at all. we have baby but i dont know what is hid plan, i would like to have legal separation to him. im only his second wife. he did not perform his obligation equally. what should i do? please help me. Salam.. I'm a Filipina married with muslim foreigner.but our marriage is not registered here in middle east due to his job restrictions and we won't be able to get marriage contract here due to it.so what we do is just to legalise our marriage in halal living , we call mutawa and we got married in Islamic way.even though we don't hve papers, matter is we are halal in islam. So now we are planning to legalise and get a marriage certificate in Philippines. Pls anyone properly can answer my consern ? Like can we get a late registration marriage in Philippines and get a marriage contract ?? And if yes then is that necessary for us both to be in Philippines ones we will apply for it?? Or we can ask someone or legal office to do it for us without our presence ? And pls what are the need requirement from us specially for my husband since he is not a Filipino but a foreigner? . I am filipina and my husband to be is saudis.We’re planning to getting married in the philippines by august. we’re just wanted to know what we need and what are those requirements to submit? and how long does it take after married for the marriages contract thank you. looking forward for your response. May I recommend to you the services of AL-HUDA MOSQUE AND MAHAD INC. to help you in your concern. This office is legitimate well organized and reliable as well.